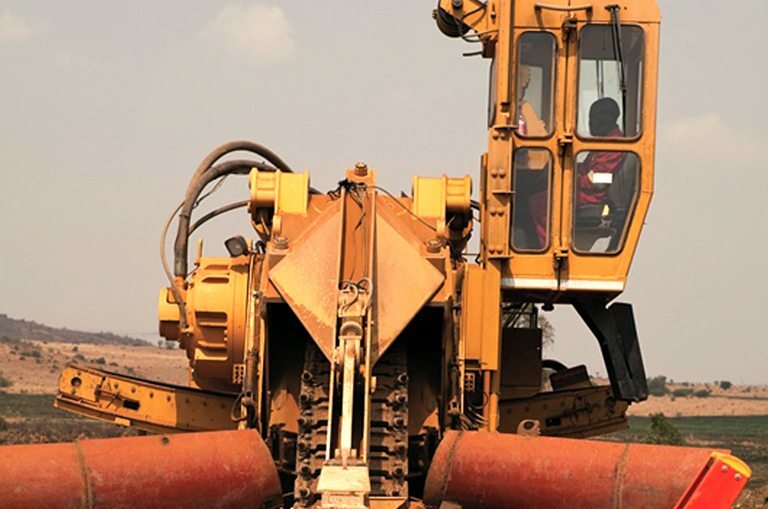 Did you know Rotary Power’s SMA motors are used in some the most powerful construction machines in the world? The hydraulic SMA motor is designed and manufactured by the engineers at Rotary Power’s factory in South Shields and provides power to machines involved in activities like drilling, tunneling, paving and trenching. Below is an example of how our Rotary Power motor powers a trencher. A trencher is a machine used in the construction industry that can cut through a number of materials such as soil, rock and concrete. The trencher is used to create a narrow and deep trench for pipelines and cables to be stored underground. A trencher has a chain which looks a bit like a giant chainsaw and can reach rotation speeds of up to 300 meters per minute, which can generate heat of up to 370 °C whilst cutting through the ground. So how do you power a machine that cuts through concrete and rock? Rotary Power supplies the heavy duty SMA motor to power the chain on the trenchers. Physically, the SMA motor is one of the largest hydraulic motors in the world and at its biggest can weigh up to 2.5 tonnes which is the equivalent to a male rhino. When cutting through the ground, hitting mud and rock, the trencher experiences huge shock loads. Using a hydraulic motor to drive the chain means that the trencher will easily absorb these shock loads without damaging the motor or stopping production. FACT: Bar is a measure of pressure. A standard car tyre runs at a pressure of 2bar. An SMA motor can run at 350bar of continuous pressure.